Sterling Silver and Garnet Pendant Necklace, 18" Just $16.50! Down From $75!! You are here: Home / Great Deals / Amazon Deals / Sterling Silver and Garnet Pendant Necklace, 18″ Just $16.50! Down From $75!! Sterling Silver and Garnet Pendant Necklace, 18″ Just $16.50! Down From $75!! Love the deep red color of Garnets! Perfect for fall and winter! 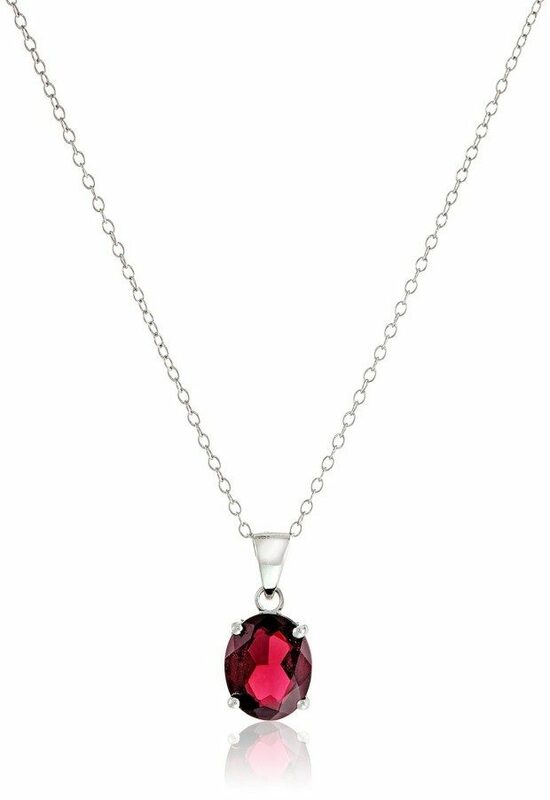 Head over to Amazon and get the Sterling Silver and Garnet Pendant Necklace, 18″ for Just $16.50! Down From $75!! Shipping is FREE for Prime members or on orders of $35+!